Gov. 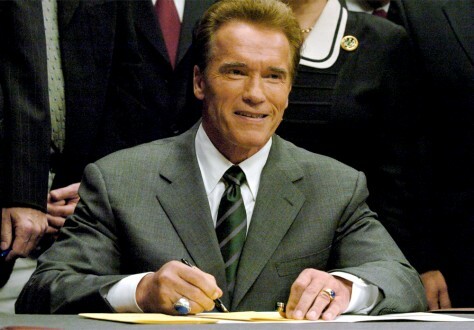 Arnold Schwarzenegger signs a fiscal recovery package last week. The package, which includes a $15 billion bond measure and new spending restrictions, will go before voters in March.